Years ago, twenty to be exact, my Husband and I participated in the Catholic requirement of Pre-Cana Counseling to be married in my Church. After taking a compatibility test (which obviously was accurate - here we are 19 years later) the parish Priest sat us down for the obligatory pre-marriage counseling. He said something that has remained with me all these years later. "Do not unburden yourself, just to burden another. " He was not advocating lying, or distorting the truth, but just the simple wisdom of not sharing something just to ease a guilty conscience or 'oversharing' to spread the burden of knowledge to another. Some may not agree with this... I realize at face value it is a controversial idea. Twenty years later, when we are inundated with social media posts sharing ABSOLUTELY EVERYTHING a thought about OVERSHARING should give us pause for contemplation. I will share an (intense) example with you. Last year, when my Son, Alexander, was so very ill, I sat in that Pediatric Intensive Care Unit and listened to the doctors tell me about how dire his condition was. I saw the look on their faces as they came into his room daily and couldn't offer me any reassurances. I knew what they were thinking, and it wasn't good. When my Husband would come to the PICU after a long day of work and taking care of our younger Son, I would not burden him with the weight of the knowledge I was carrying. He knew the situation was critical without my adding an intensity to the situation by sharing a 'blow by blow' accounting of the doctors’ daily rounds. I am not a martyr. I am a woman that loves her Husband enough to shoulder that weight and remember those words, “Do not unburden yourself, just to burden another". 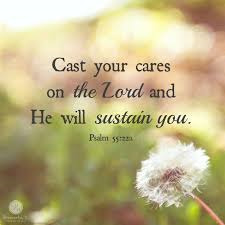 I made a choice to share my burden with my God (Creator/Source) and not place needless worry upon my Husband. Most will not have this level of seriousness but the idea oversharing, or burdening can be applied to our daily lives. Your (insert here: Mother, Father, Family Member, Friend) does not need to know the details of the argument you had with your Spouse or your current financial situation line item by line item. While we are discussing oversharing - a vague post on Facebook, Twitter or Instagram filled with innuendo is not a good idea either. Not only does oversharing lead to others having to shoulder a burden that should not be theirs (example: sharing with a coworker that another coworker is having an affair) it also opens the door to being judged (example: sharing that you have run your bank account down to zero after taking a vacation and buying a big screen t.v. and are now applying for a cash advance loan) Too much information!! I encourage everyone to use discernment when sharing. In an age where EVERYTHING is 'out there' for consumption - it is alright to be stoic and silent. In fact, I encourage it. 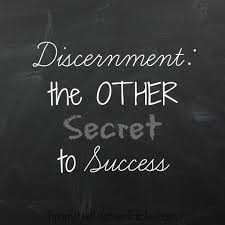 Words that have fallen out of our daily lexicon recently... Discernment. Private. Personal. These words should be viewed as goals for communicating with others. Something quite unexpected occurs when we learn to be silent and not fill spaces with frivolous gossiping. We no longer lend our energy to senseless spreading of rumors. We longer provide the fodder for others to judge us. We function on a higher energy plane because we are no longer feeding base emotions with words that carry us to lower energy vibrations. Concurrently, when we choose our words with another with discernment and do not feed into the urge to provide unnecessary details or supposition we are honoring the person that we are speaking with to not only come to their own conclusions about a matter, but also, because they haven't been tainted by negativity, they are able to hold the energy in a more positive space. Share with your loved ones, post on social media, but do so with the knowledge that words have power and meaning behind them. Be discerning with what you choose to share. 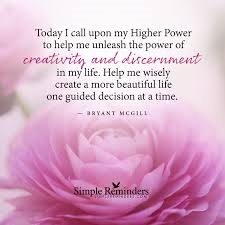 Additionally, use discernment for what you choose to listen to... Knowledge can be a burden when it is in the form of information you shouldn't have, information that is NOT your business. Be aware of what you are hearing or reading - your energy can be lowered as well. Talk about your blessings more than you talk about your trials and tribulations. When you make the active choice to operate on a higher vibration and not burden those around you with too much information you will find that you will be surrounded by less and less gossip and negativity.